1) Though it had a legion of fans and one of the most popular burgers in town, the downtown Oakland bar Disco Volante (347 14th St.) shut its doors for good on Monday night with one last hurrah, complete with a New Orleans brass band second line. R.I.P. 2) One more piece of bad news, though hopefully this one has a silver lining: As reported yesterday, the PieTisserie pie window inside of the Mexican restaurant Nido (444 Oak St., Oakland) is now closed. Stay tuned, however, for details about pie maestra Jaynelle St. Jean’s next move, which will include a Kickstarter campaign to raise money for a new brick-and-mortar pie shop. 3) The Olde Depot Public House (468 3rd St., Oakland) is no longer strictly a vegan establishment. Or, as our tipster quipped, the all-vegan menu is “olde news.” Yesterday, the pub launched a new food menu that includes meat dishes like Philly cheese steak sliders, chicken wings, and fish and chips. Rest assured, vegan options will still be plentiful and will be prepared separately to prevent cross-contamination. Still, at least a few of Olde Depot’s vegan customers are pissed. As one Facebook commenter put it, “This was the only place vegans/vegetarians could go and not have to see/smell/inevitably eat due to contamination non-vegan pub grub. Now there's really no point to support The Olde Depot ….” Apparently, a protest is already being organized; as of late Tuesday night, six people had signed up to attend. 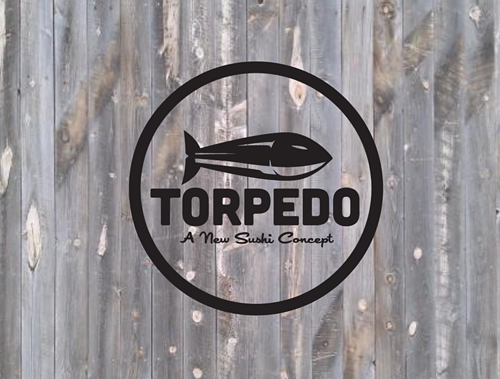 4) Several new happenings in Uptown Oakland, on that prominent stretch of Grand Avenue between Broadway and Webster: First off, I recently spotted the sign for Torpedo Sushi, a new convenience-oriented sushi restaurant that’s coming soon to 25 Grand Ave. (next door to Farley’s East). According to its website, the restaurant boasts a commitment to supporting sustainable fishing practices and a concept (huge, portable, easily hand-held sushi rolls) that’s reminiscent of the “sushi burritos” at San Francisco’s Sushirrito. Also on that block: Anfilo, a cafe specializing in traditional Ethiopian coffee, continues to expand its food program. The restaurant is now serving a $9.99 Ethiopian lunch buffet, from 11 a.m. to 3 p.m.
5) Inside Scoop reports that a new Burmese restaurant called Rangoon Super Stars is coming to the “cursed” location at 2826 Telegraph Ave. in Berkeley (the former home of Locanda de Eva, Zax Tavern, and several other short-lived restaurants). Headed by chef-owner U Win Aye, a Burma Superstar alum, Rangoon Super Stars will have its grand opening on September 5. 6) The caterer and farmers’ market vendor Venga Paella will be opening a brick-and-mortar restaurant at 229 Brush St. — in a section of town, about halfway between Old Oakland and Jack London, where there aren’t many other restaurants presently. Inside Scoop notes chef-owner Eduardo Balaguer’s Catalonian background and the fact that the menu will, of course, focus on a few different kinds of paella. One initial observation: The paella prices look quite reasonable, at $8-$12 a plate. Look for a September opening. 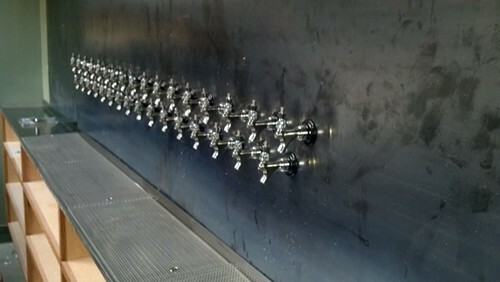 The taps at Hog's Apothecary (via Facebook). 7) Inside Scoop also has an update on The Hog’s Apothecary (375 40th St., Oakland), the Temescal area sausage-and-beer joint that What the Fork previewed earlier this year. The latest news is that the beer hall has hired Sayre Piotrkowski, currently the beer director at San Francisco’s St. Vincent, to curate their selection of 33 West Coast brews — all from “somewhere between Seattle and San Diego” — on tap. The latest estimated opening date for The Hog’s Apothecary is mid-September. 8) A couple of local food businesses are celebrating their one-year anniversary this week. First, food-startup incubator Kitchener Oakland (372 24th St.), which was featured in last week’s story on starting your own food business, will celebrate its first birthday with a special anniversary pop-up market on Thursday, August 22, from 6 p.m. to 9 p.m. Admission is free. There will be $2 Linden Street Brewery beer, and most food items will be priced at $5 or less. Meanwhile, Beauty’s Bagel Shop (3838 Telegraph Ave.) — fresh off a positive review in The Express — will celebrate its anniversary with a big party on Sunday, August 25, from 12 p.m. to 2 p.m. Merrymaking ingredients will include mimosas, live music, and free snacks aplenty. 10) Finally, ICYMI, check out What the Fork’s recent stories on Ramen Shop’s pop-up street food party last night (anyone go?) and the Berkeley Lab’s research on the air pollutants created when you cook at home.